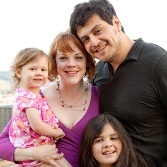 Jennie has helped organizations in Seattle and throughout the Northwest for over ten years. She became inspired by the incredible generosity and energy of charity auctions, so attended the World Wide College of Auctioneering to become a "fast-talkin" auctioneer. Jennifer has been helping non-profits raise funds while having fun ever since. Where did you grow up and what brought you to Seattle? I was grew up in Portland, Oregon, then travelled all over the US for business. I came to Seattle on a consulting project and fell in love with the city. Aside from the stunning natural environment around the city, Seattle has more charity auctions than any other city in the world. People love partying for a cause. I love being part of that positivity and helping people who want to make a difference in their communities. How did you first get involved with benefit auctions? My friend Kristen invited me to volunteer with her for PONCHO. After that wonderful experience, I had caught the auction bug. So I went on to volunteer for several more years, in all roles, until finally I enrolled in the World Wide College of Auctioneering. I was one of the only women in the class, and the only one specializing in charity auctions. Still I had the best time ever learning how to talk fast with a bunch of fantastically fun people. What do you like best about benefit auctions? Benefit auctions are build community support as well as funds for an organization. Many people are part of the success - event planners, sponsors, patrons, donors, volunteers, and the auctioneering team. It’s win-win-win for all involved. The auction item donors get to make a difference in the community while marketing to potential clients, the guests get to bid on terrific items and feel good about where the money is going, the organizations are able to build community support while meeting fundraising goals. What types of organizations are important to you personally? There are so many important causes, it's difficult for me to choose! One of the reasons I became a charity auctioneer is so that I can learn about the good work that many organizations are doing and be involved in helping them reach their fundraising goals. Over the years, I've been lucky to be able to support many causes both local and global - arts, education, hunger relief, housing, hospitals and health organizations, museums and cultural heritage, animal welfare, environmental conservation and social justice. And last but not least, I love listening to and actively supporting NPR. What do you enjoy about your role with Allegria Auctions? I love inspiring people to give a little more, show support for important causes, and have fun while doing good. I would be spearmint. Refreshing taste that goes well with sugar and rum. To see Jennie in action, here is a lively live auction video. Or read the Rave Reviews from our fabulous non-profit partners. Or Contact Us to discuss your auction needs in detail.